I came across this website somehow and thought it looked interesting. 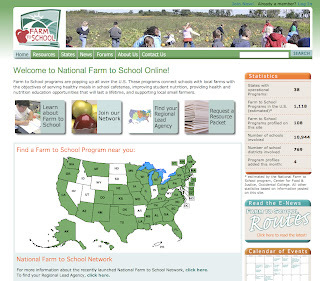 Farm to School has programs which connect schools with local farms all over the country with the objective of "serving healthy meals in school cafeterias, improving student nutrition, providing health and nutrition education opportunities that will last a lifetime, and supporting local small farmers." What a good idea. Check it out!